Click here to download our 2018 EEO Report (PDF). 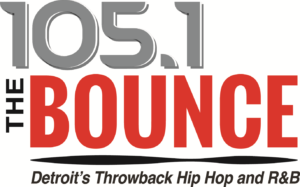 Beasley Media Group’s 105.1 The BOUNCE is searching for outstanding CREATIVE talent interested in strengthening the team of talent for this radio station. Tell us how you will bring daily on-air and off-air ideas to generate top of mind brand awareness and revenue opportunities for the station. You’ll be asked to engage heavily into the communities we serve, be a social media maven, and be an excellent storyteller. The successful candidate must creatively develop fast-paced, topical content on the air and on social media platforms. The successful candidate must be someone creative, loves to laugh, appreciates pop culture, and have a mastery of phones. The right candidate also must have a willingness to work with the sales staff as requested and be willing to perform other duties as assigned by the Program Director. Must have valid drivers’ license and excellent driving record. Applicants May E-mail: DetroitJobs@bbgi.com. No Phone Calls Please. Beasley Media Group Detroit, the home of WRIF, WCSX, and 105.1 The BOUNCE, is growing again in our digital division! We’re looking for motivated, out-of-the-box thinkers to join our sales team as Digital Account Executives. This job requires a commitment to finding new clients and helping them develop digital marketing initiatives. BMG-Detroit’s solution-based approach and robust menu of digital products demands that our Digital Account Executives have a very strong understanding of the digital advertising landscape. Digital Account Executives MUST know which products will best help our clients meet their marketing objectives! Additionally, the successful Digital Account Executives is an effective communicator with the chops to effectively research and prospect new clients and present compelling, custom marketing opportunities.We offer a commitment to excellence, the industry’s finest training, and great marketing resources. Beasley Media Group is committed to helping our employees grow while helping our clients grow through effective marketing and advertising programs. If you are looking for unlimited income potential, then you have found the right place. No order takers! Must have valid driver’s license with stellar driving record. E-mail: DetroitJobs@bbgi.com. No Phone Calls Please. Beasley Media Group is always searching for OUTSTANDING Talent to strengthen the team of air personalities on our legendary radio stations. Tell us how you will bring daily on-air and off-air ideas to generate top of mind brand awareness and revenue opportunities for our stations. Are you willing to invest heavily into the communities we serve, host station events and visit workplaces, schools and wherever our fans are working or playing? Is your social media footprint large, engaging, compelling and influential? 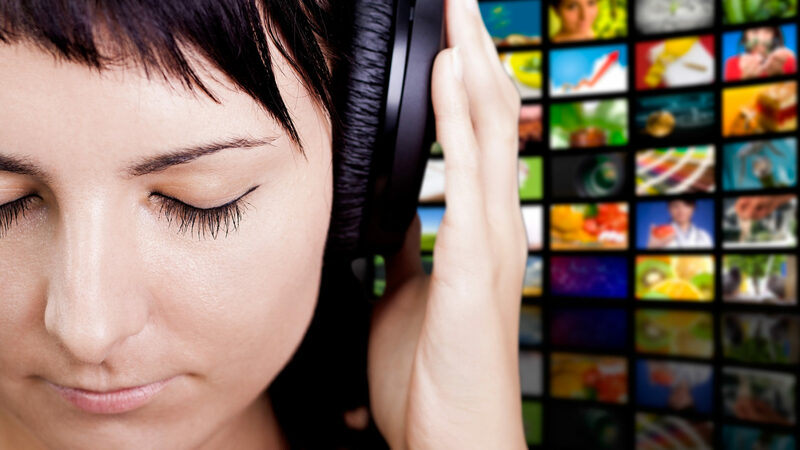 Can you creatively develop relevant topics that are unique and provide compelling content for listeners? In addition to “living the lifestyle” of the brand, are you willing to work with sales and perform other duties as assigned by the Program Director. Must have valid driver’s license and excellent driving record. Attention Sales Professionals! Are you a marketing pro who enjoys making the BIG sale… and are you ready for a new career challenge? Do you naturally build trust and relationships with people you meet? Are you comfortable dealing with high level decision makers? Can you be direct and convincing when you know it’s right for the client? Are you patient with a longer selling cycle and can follow it through? Do you get a charge out of helping clients maximize their marketing? If you answered yes to these questions, we should talk. Beasley Media Group- Detroit’s top-rated stations 101.1 WRIF, 105.1 The BOUNCE, and 94.7 WCSX have immediate openings for highly motivated individuals with marketing know-how. Responsibilities include soliciting new business through prospecting and cold calling, managing and growing existing accounts and budgets, as well as identifying client advertising needs. The ideal candidate will develop and present customized solutions to meet those clients’ needs. We offer a commitment to excellence, the industry’s finest training, great marketing resources and three great media properties. Beasley Media Group is committed to helping companies grow through effective marketing and advertising programs via our strong broadcast, digital, and event platforms. If you are looking for unlimited income potential, then you have found the right place. No order takers! WCSX, WRIF and WMGC each have ongoing internship programs in the programming, promotion and production departments of each station. These are semester-long, unpaid, for-credit programs that allow students to experience radio station operation first-hand. Students work side by side with station employees on station projects and promotions. In addition, time is provided by the department manager for question and answer sessions, which will explain and contextualize for the student the various procedures, techniques and events they encounter during the internship. Beasley Media Group – Detroit has a standing relationship with the Specs Howard School of Communications. Our managers regularly speak to current and recent students to provide them with a real-world view of the radio industry. We cooperate with the placement staff of the school to identify and make contact with near-graduates and recent graduates and introduce them to the opportunities within Beasley Media Group – Detroit.